Charity auctions are amazing opportunities to engage with donors while raising money for your cause. As you know, the key to successful fundraising lies in positive donor experiences. While there’s a lot to plan when hosting a charity auction event, you’ll need to make sure donor engagement is a top priority. Charity auctions can either send your organization sailing past your fundraising goal...or leave you stuck with your oars lost at sea and goal nowhere in sight - and donor engagement plays a big role in determining which path you take. Set your fundraising goal and budget. Find great charity auction software. Set a time, date, and venue. If you’re ready to host a stellar charity auction with the best donor experience, let's get started! 1. Set your fundraising goal and budget. The first thing you’ll want to do is organize your budget and your fundraising goal. Auctions require many little details, which can quickly rack up expenses if not carefully managed, so be sure to take your time when determining a budget. Make sure you’re not spending more than you have the potential to raise! This is a fundraising event, after all, so you’ll want to make sure you can raise money to further your cause. Your fundraising goal will help your organization determine how many items you’ll need to auction off and at what price. 2. Find great charity auction software. There are several reasons to consider investing in top-notch charity auction software. First, charity auction software makes planning your event easier by lessening the administrative burden. For example, charity auction software can help organizations track RSVPs to gain a more accurate estimate of who will attend. With charity auction software, you’ll be able to automate, streamline and manage your entire process from one, central location. Not only is it easier on your end - auction software makes your event more convenient for donors. With auction sites and online bidding, your software can help you reach even more bidders. As long as they have internet access and a capable device, supporters can scroll through your item catalog and place bids at the click of a button - meaning people can participate from their couches a mile away from the venue or from a cafe in Europe. At your event, guests can use mobile bidding to stay updated on items they bid on. And after the event, you’ll be able to run robust reports to gain deeper insights as to what your event does well and what it doesn’t. This data is invaluable for your nonprofit to keep improving its fundraising results. Finally, you can give donors the option to make additional donations and purchase fixed price items - both of which help your organization raise more money. Check out OneCause’s Charity Auction Software Guide to determine exactly what your organization needs in a solution. Auctions require a lot of hands. You’ll want a flexible team to help make sure every aspect of the event proceeds smoothly and without hiccups. Setting up your event. Having extra hands to set up tables and organize auction items never hurt and this way, you can make sure your charity auction event is a seamless experience for donors. During your event. Volunteers during your event can help guests place bids and learn more about each item. Whether bids are being placed on cell phones or paper sheets, your volunteers can help donors with the bidding process. Your volunteers can even help your bidders check out! They’ll be able to configure donors’ payment information and hand off auction items to their respective winners. Breaking down your event. Of course, you’ll appreciate your clean-up crew! 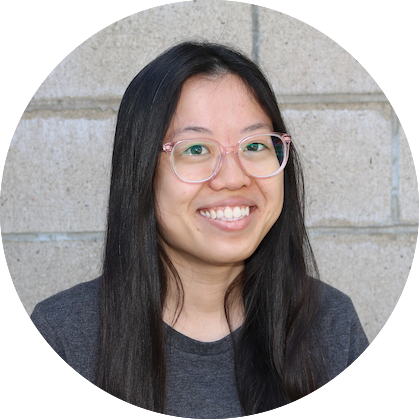 When it comes to taking down decorations, disassembling tables, and wrapping up your event, these extra hands will save your organization time so you can get right to sending out acknowledgements via email, direct mail, and phone. Your volunteer teams can vary in size depending on the scope of your event. If you’re hosting an online charity auction, you can get away with just a beautifully built auction site and a handful of volunteers to procure items. On the other hand, if you’re hosting a large, in-person charity auction event, you’ll benefit from at least 3-6 fleshed-out teams, each with specific goals. You can never be too organized! In the end, your volunteers will help get the backend work done faster and more efficiently to produce an incredible experience for your donors. 4. Procure your auction items. Besides the donor experience, one of the most important parts of your charity auction is procuring your auction items! Before you begin soliciting any items or packages, take a look at your donor profiles. See what common interests your donors have to be able to determine what packages will be most appealing. It’s all about your donor experience and engagement because that’s what leads to strong donor relationships and high bids! It's also smart to look at items that were auctioned off quickly and at high prices at your previous charity auctions. This data can help your organization determine the best auction packages to invest in for your event. To round out a live auction, consider including 2 or 3 "WOW" worthy consignment items (like tickets to Hamilton on Broadway with meet-and-greet). They can be reserved in minutes, and you only pay for items that sell. Best of all, you can auction off multiple packages at one time, so more donors leave satisfied. Remember to think about your items’ weight and size. If you have to mail packages to your winners, the cost of shipping can add up rapidly. See OneCause’s Guide for Procuring Auction Items for more ideas. 5. Set a time, date, and venue. Without a place to host your event, there’s no event! Make sure you secure a venue, time, and date roughly half a year before your actual event. Many nonprofits start setting these details 9 -12 months in advance, depending on the scope of their event, so you want to be sure you have enough time to put together an excellent fundraiser. When searching out venues, be sure to think about how many guests will be in attendance and the atmosphere you’re hoping to create. Pick a time and date that works with your donors’ schedules (typically evenings and weekends). And if you’re using auction software like mobile bidding, you’ll want to maximize that investment by checking the location’s internet capabilities and cell reception. If you’re hosting an online auction, select software that lets you build an auction site accessible to all donors. If you have supporters on the other side of the world, make sure they can participate, too! For live charity auction events, your auctioneer is another hugely important piece to the auction puzzle! To maximize revenue from each and every live auction item, we recommend investing in a professional benefit auctioneer. These individuals help motivate bidders and enthusiastically encourage a competitive environment. Plus, they’ll know exactly when to close bidding so your event doesn’t lose momentum. You might look into displaying a live leaderboard or scoreboard with the top bids so your audience has a visual, too. This is another way to inspire some friendly yet competitive behavior at your event. 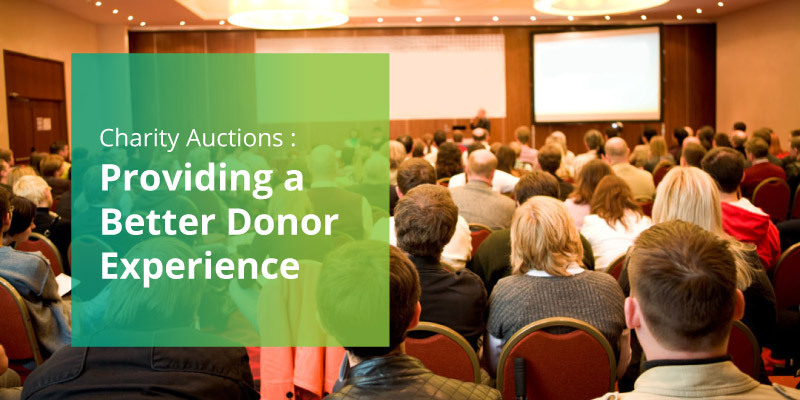 In addition, it helps your donors stay on top of your event’s activity even if they miss the auctioneer's announcement - providing a great donor experience! With volunteers, venue, date, time, and auction items in order, next up is event promotion. Start by creating a guest list. Keep your venue in mind when adding guests to your list—you’ll want to make sure you can host them all comfortably. Using charity auction software, create an online event registration site and sell tickets and sponsorships online. Your guests can register and purchase tickets at any time that’s convenient for them. Be sure to share the link for your event’s registration in your invitations whether they’re printed or digital. You can tweet and post about your upcoming auction. Using social media to promote your event allows your organization to gain exposure and potentially expand your donor base. Encourage your followers to share your event with their networks as well. Finally, you can generate excitement around your event by promoting your big-ticket auction items. Create an online catalog so prospective attendees can browse the items. Depending on your event, you can even open pre-bidding before your event to get the bids flying and build anticipation. Now that you have 7 easy steps to follow, you’re sure to host a charity auction with a great donor experience. Keep in mind that your donors’ experiences with your nonprofit are what make or break your relationships and therefore, your financial support. About the author: Joshua Meyer brings over 14 years of fundraising, volunteer management, and marketing experience to his current role as the Director of Marketing for OneCause. Currently, as a member of the BidPal sales and marketing team, Josh manages all of the firm’s marketing efforts. He has a passion for helping to create positive change and loves that his current role allows him to help nonprofits engage new donors and achieve their fundraising goals.